Well, well, well. Whaddya know? The corny looking white kid from Pittsburgh everyone said only had good business sense and nothing else finally proved he has some straight up talent. 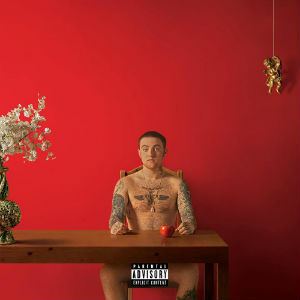 After getting buried by critics for his debut album, 2011's Blue Slide Park, Mac had much to prove on his sophomore set. Although much of it went unnoticed, Mac's progression as an artist actually happened in two parts last year. 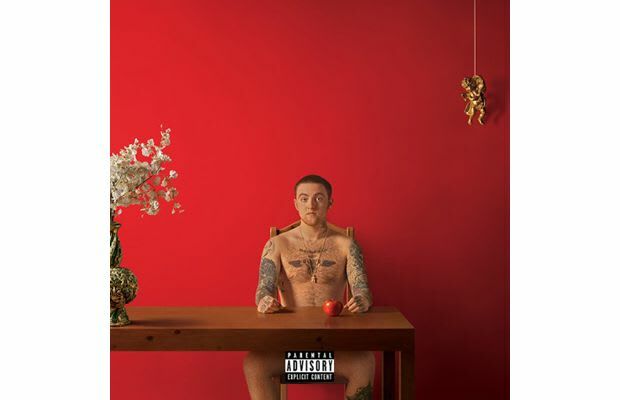 First on his mixtape Macadelic where he honed his mic skills, but it was on the totally under-the-radar lounge-jazz EP You (which was released under Larry Lovestein & The Velvet Revival) were Mac really fleshed out his skills as a songwriter and producer. On Watching Movies, those two ideals crystallize. There's real rhyming here, real "check-me-out-I-can-do-this stuff, like on "S.D.S." "Let bygones be bygones, my mind strong as pythons/The day that I die on will turn me to an icon/Search the world for Zion, or a shoulder I can cry on/The best of all time, I'm Dylan, Dylan, Dylan, Dylan." And he's brave enough to stand next to some of some of rap's very best lyricists—Earl Sweatshirt, Ab-Soul, Jay Electronica. (How in the world did he secure that feature?) He doesn't best them, but he holds his own, and their presence alone says something about the acceptance and respect Mac so obviously craves. But Mac's greatest asset isn't his bars, it's his songwriting. When he actually moves away from the dusty, MF Doomy, Stones-Throwish beats that dominate the album, he not only diversifies his sound, he hits his full stride. The R&B-influenced "Youforia" and the rock tinged "Remember" stand as album highlights. Credit his secret weapon: Larry Fisherman, the producer who provided most of the album's backdrop. Who is this guy? He's way better than anyone would have guessed. Where did Mac find him? In the mirror, it turns out. "Larry Fisherman" is an alter-ego for Mac himself.